HAZMAT cleanup and site remediation company, Harpeth Towing & Recovery provides 24hr emergency HAZMAT cleanup and spill response services in Franklin TN, Dickson TN, Nasvhille and throughout Central TN. Our HAZMAT Team is fully insured, HAZWOPER 40 certified, and consists of several experienced professionals who meet all safety standards. With a fleet of dedicated Spill Response Vehicles, you can be confident that we have the tools and resources needed to get the accident site cleared and cleaned as quickly and safely as possible. 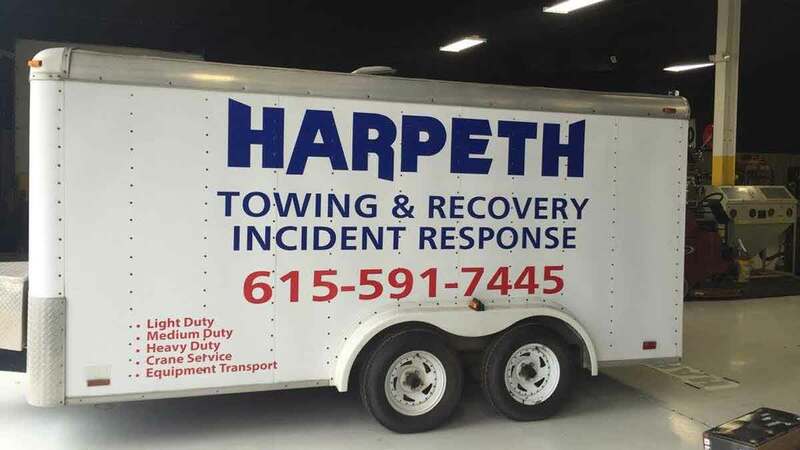 Call our 24hr dispatch center now at 615-591-7445 to speak to Harpeth Towing & Recovery about our HAZMAT services. Harpeth Towing & Recovery provides complete emergency HAZMAT cleanup and site remediation for all fuel spills, oil spills and other hazardous material spills throughout central TN, including I-40 hazmat service, I-65 hazmat cleanup, and I-840 site remediation service. We extend our service through Williamson County and Central TN, all the way down to the Tennessee-Alabama border. We strive to deliver trusted and expert HAZMAT cleanup services wherever it is needed. Our Hazardous Materials Cleanup Team is equipped and prepared to quickly and safely clean and restore sites damaged by vehicle accidents and hazmat spills to ensure minimal cost and environmental damage. When you choose the Harpeth Hazmat Team, you can be confident you're partnering with trained and experienced professionals in hazardous material clean up. Call 615-591-7445 now to get our Hazmat Team headed your way.